Our recently published Whitepaper contends that long term investment returns from a traditional balanced portfolio are likely to be structurally lower than has been the experience over the past 30 years. Without adjusting return expectations, a more aggressive investment stance would be required to meet previous aspirational goals. Read the complete Whitepaper: Lower Longer Term Returns. As also reported in the Independent Financial Adviser. Australian independent investment advisory firm Providence has appointed Will Porter to the newly created role of Global Research Manager based in London, in order to broaden research insight. Having access to global fund managers in London, Will Porter will be delivering insights on global themes in asset allocation and investment markets to Providence’s Australian-based investment committee and executive team, for the benefit of Providence’s clients. Will Porter has been appointed as Providence’s Global Research Manager based in London. 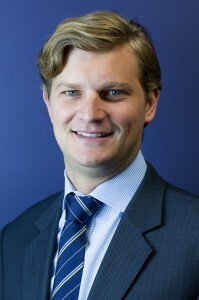 Will Porter has over ten years’ experience in the investment market, most recently as Providence’s Sydney-based Australian Equities Manager. He has had responsibility for equity research and asset classes, maintaining model equity portfolios and monitoring investment performance. Currently in its 16th year of operation, and with a 185% growth of Funds Under Management (FUM) over the past 5 years, Providence has $1bn of funds under management on behalf of Australian individuals, families and not-for-profit organisations from its Sydney and Melbourne offices. For further information, contact Grant Patterson, Managing Director on +61 2 9239 9333 or email grant@providencewealth.com.au. Click here to read the Global Outlook and Strategy December 2016: Heightened Risk; Patience and Diversification the Key. For more information please contact Providence on (02) 9239 9333.